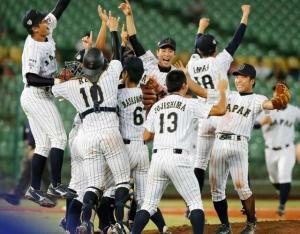 Baseball Equipment online shop "Swallow Sports staff Blog": U-18 young samurai Japan is on top in the Asian Championships !! has played a victory in five years !! has competed in the last year of 2015, has not been achieved Asia vertex. 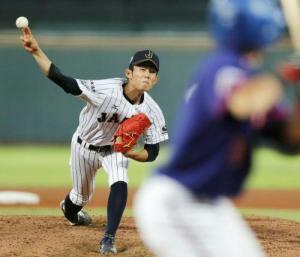 was tournament in overwhelm the other countries pitcher force !! 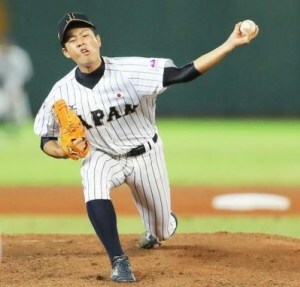 ◆ Imai-kun, moat-kun was using, Mizuno Pro hardball glove is here !! day is looking forward from now. 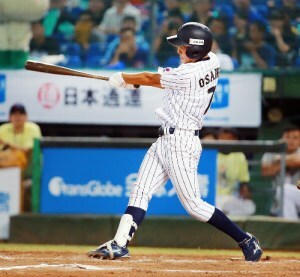 ◆Osame players were using, ZETT hardball wooden bat is here !! ASICS made in japan baseball glove SALE!!!! USED KUBOTA SLUGGER BASEBALL GLOVE!! ZETT made in japan baseball mitt. PROSTATUS. SSK SALE Made in japan Probrain!! !